A shuriken (Japanese 手裏剣; literally: hidden hand blade) is a Japanese concealed weapon that was used as a hidden dagger or Metsubushi to distract or misdirect. Shuriken are commonly known in the West as throwing stars or ninja stars although they were originally designed in many different shapes. 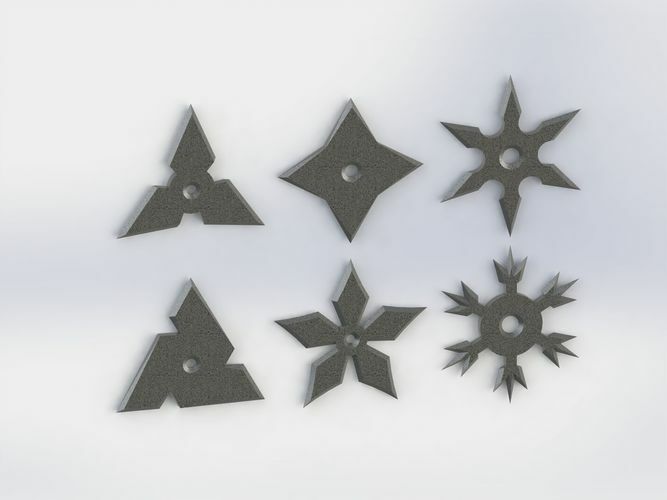 The major varieties of shuriken are the bō shuriken (棒手裏剣, stick shuriken) and the hira shuriken (平手裏剣, flat shuriken) or shaken (車剣, also read as kurumaken, wheel shuriken).